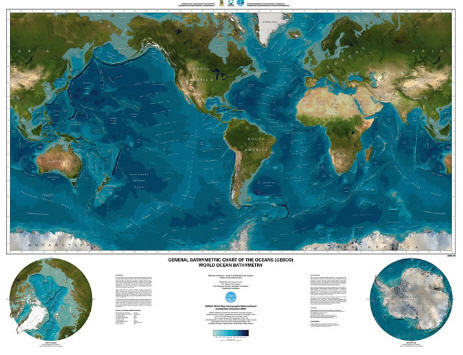 The deep benthos is simultaneously the largest and least explored ecosystem on the planet. Covering nearly 60% of the Earth’s surface, it supports an almost unimaginable reservoir of biodiversity, rivaling all terrestrial habitats combined. Its microbial and metabolic diversity have revolutionized our view of how life is sustained, not once, but twice (first with the discovery of chemoautotrophic organisms at hydrothermal vents, and again with the discovery of cognate communities at methane cold-seeps). In spite of these major discoveries, the deep benthos is essentially invisible. Only a select few will ever witness it first hand, while for the rest, it will remain a dark and unfathomable abyss. This places the deep benthos in a precarious position. Human activities that influence the deep sea go unnoticed. Without a thorough understanding of its ecology, it is impossible to assess the damage caused by anthropogenic impacts. Although recent and ongoing studies have shed light on many species and communities, the deep benthos remains largely unexplored. Two studies, both released this week, reveal simultaneously how little we know about the deep benthos and how human impacts, even unintentional ones, could shape this ecosystem. 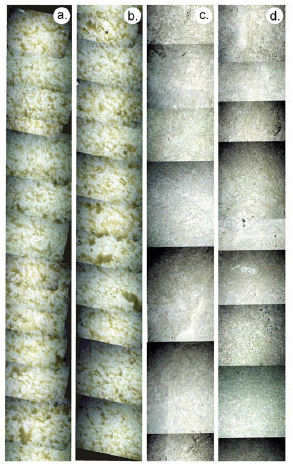 Figure 4 from Wolff et al: Seabed seafloor mosaic from WASP photographic images of: a. & b. the +Fe site, showing substantial cover of phytodetritus patches, which are clearly visible and appear green. c. & d. for comparison the HNLC site, where there is no phytodetritus but faecal casts are visible. In each case the swath width is c. 1.2 m and the total along track distance shown is approximately 2 m. (Total area illustrated c. 20 m^2). In the effects of natural iron fertilisation on deep-sea ecology, Wolff et al. examine the role iron fertilization plays in shaping benthic communities thousands of meters below. Using a combination of deep-sea trawls, sediment collectors, and sea-bed photography, they compared two regions of the the Crozet Plateau, one which experiences high levels of natural iron fertilization and one which is iron depleted. This is a small scale study (the total sampling area is relatively small) and covers only a single sample and control site, but the sampling regime is comprehensive. Even with its limitations, the conservative analysis by the authors leads to some troubling conclusions. The community structure at the iron fertilized site was significantly different than that of the iron depleted site. The seafloor was covered in patchy clumps of phytodetritus, which recruited a very different cohort of species, with larger biomass and abundance and a patchier distribution across the sea floor. All told, the effects of surface iron fertilization dramatically changed the ecology off the underlying benthic community. This study looked at a natural process, but what about similar anthropogenic input. During most of last decade, iron fertilization was a hot topic in the climate change industry. The idea was that by fertilizing portion of the ocean with iron, we could sequester atmospheric carbon dioxide in the deep sea through the sinking of phytodetritus, the same phytodetritus that Wolff et al. found one their iron rich sites. What was never discussed during these plans, was the degree to which iron fertilization would effect the ecology of the deep sea. Had an iron fertilization program actually gone forward, the dramatic changes to the deep sea community would have gone largely, if not completely, unnoticed. The invisible effect of unintended consequences. 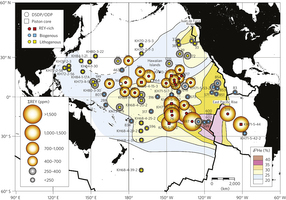 Figure1 from Kato et al: Distribution of average total REY contents from surface sediments (<2 m in depth) in the Pacific Ocean. Indirect effects of human activities may be dwarfed by the monumental changes that can result as a direct result of human exploitation. In Deep-sea mud in the Pacific Ocean as a potential resource for rare-earth elements, Kato et al. reveal that deep sea sediment is a previously unexploited resource for rare-earth elements, including many needed to build our electronics and, ironically, green technologies such as solar cells. This reserve of rare-earth elements may rival total, terrestrial deposits. Deep sea mineral extraction is not a new phenomenon. The first proposals to mine manganese nodules appeared in the 1980’s, but proved to be too costly once the bottom fell out of the manganese market. With 97% of all rare-earth elements currently being exported by one country (China) the political and economic benefits to an elemental mine on the seafloor will be difficult to ignore. The authors estimate that a square kilometer of deep seafloor ~2 meters deep could provide 1/5 of the world’s annual consumption of rare earth elements. They even propose a simple extraction procedure, using acid leaching, which would allow for automated seafloor processing. What this means is that wholesale extraction of seafloor sediment could occur with very little monitoring. Unlike other exploitative processes, such as deep sea mining which requires machinery on the sea floor and support ROV’s to provide visual feedback, mud-sucking could be accomplished relatively cheaply from ship mounted equipment. Once again, we could be in a situation where massive changes to the ecosystem could propagate completely unnoticed, invisible to the surface world. The deep benthos is a conservation challenge precisely because of the extreme expense required to monitor and assess environmental impacts. Whereas other systems are accessible enough that NGO’s and conservation organizations can act as industry watchdogs, effective monitoring of the deep sea is so costly (on one research cruise I participated in, we estimated the cost of ROV operations and support to come close to $12,000 per hour) that the only entities with the means to monitor exploitation are the companies involved in the exploitation. This is a precarious position to be in. How can we proceed? Is the deep benthos doomed to be a wild west, with conservation only occurring once industry has moved on? Several factors provide some hope for the future of deep sea conservation. The first is the International Seabed Authority, which is responsible for all seafloor extraction that occurs in the high seas (the area beyond the 200-mile exclusive economic zone). The presence of this regulatory agency means that most initial seafloor extractions will occur within independent nations territorial seas. Unfortunately, this means that regulation then becomes the responsibility of each nation. Ideally, the future of deep-sea extraction would be one of mutual cooperation between industry, which stands to benefit from a real and transparent record of environmental responsibility, which would allow them access to international seas, independent scientists that, by necessity, recieve, but are not bound to, financial support from industry, and independent agencies, like the International Seabed Authority and conservation NGO’s, which monitor both. But those are the dreams of an optimistic fatalist. Until then, the precautionary principle must prevail. Mining the Deep Sea: what's it worth? Excellent essay, SFS. It is difficult to get people to care about an environment they cannot see or visit, even when we’re still discovering entirely new ecosystems, as well as scores of new species. As a point of pride, my ego is obliged to mention that I used that xkcd comic in my MS thesis defense. Totally works for seamount biology! It’s amazing to think that we actually know less about the deep parts of the ocean than we do about the moon. The iron fertilization is particularly interesting. Because of our lack of knowledge, I’m not sure we can honestly accurately measure our impact on these climates. Nice post.